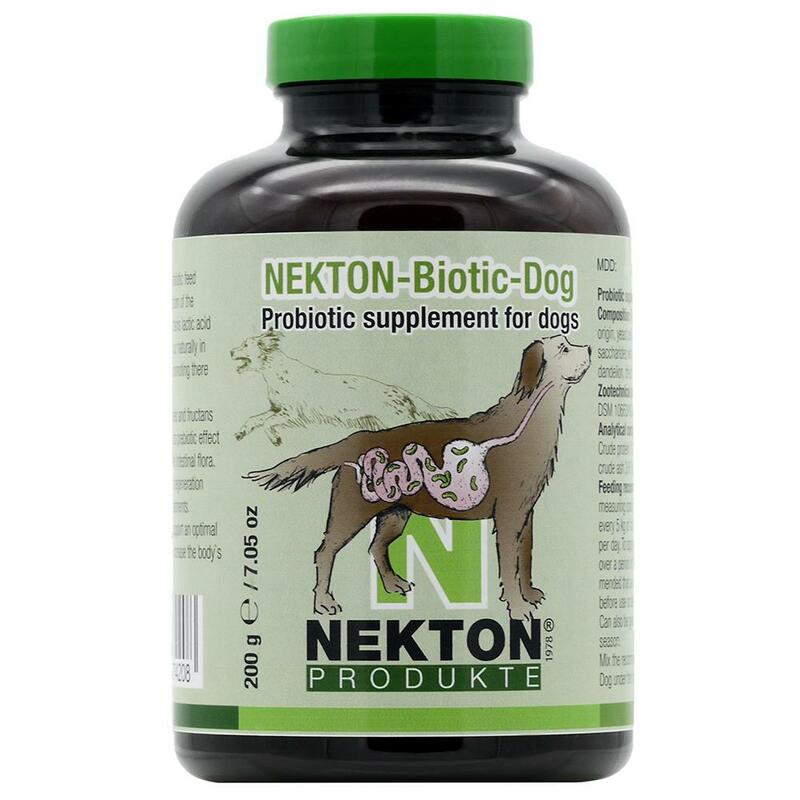 NEKTON-Biotic-Dog is a probiotic feed supplement for the stabilization of the intestinal flora of dogs. Contains lactic acid forming bacteria, which occur naturally in the intestinal wall of dogs promoting there a healthy digestion. The mannan-oligosaccharides and fructans contained support through its prebiotic effect a positive composition of the intestinal flora. Ideal for indigestion and for regeneration after illness or antibiotic treatments. Also suitable to generally support an optimal nutrient supply. Proven to increase the body`s immune defense. Rice starch, derivatives of vegetable origin, yeast cell walls (contains mannanoligosaccharides with prebiotic effects), common dandelion, yeast. Crude protein 17.0 %, crude fat 4.5 %, crude ash 3.6 %, crude fiber 4.5 %.